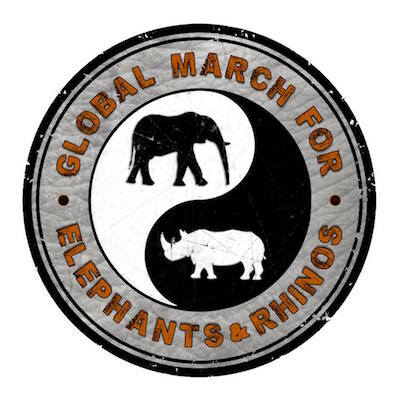 Global March for Elephants and Rhinos, Inc. (GMFER), a non profit organization, advocates on behalf of the world’s last land-based mega fauna. Not only are rhinos and elephants iconic creatures, they are also keystone species that are absolutely vital for the survival of plant and other animal species in their home ranges. GMFER demands the end to the trade in ivory and rhino horn. As long as there is a consumer market for these “products,” the scourge of poaching, killing some 100 elephants every day, and over 1000 rhinos every year, for products that are unnecessary and without medicinal value, will continue.